Worth Fighting For is now LIVE!!! Worth Fighting For, the highly anticipated sequel to Fighting To Be Free is now LIVE and available to read on all ebook sites and in paperback in most bookstores. Grab your copy today and read the heart-pounding conclusion to Jamie and Ellie's story. Leaving Jamie Cole was the hardest thing Ellie Pearce ever had to do. Somehow, she moved on. She made a new life in a new city with a new man. So when a family tragedy calls Ellie back home, she believes all her old feelings for Jamie - the hunger, the heat, the heartbreak - are safely behind her. But the second she lays eyes on him, the intensity of their connection is as strong as ever. Jamie knows pain. He's felt it fighting in the streets, and he felt it fighting to survive in prison. Yet nothing he's experienced has been as painful as the day Ellie left - until the moment she came back. 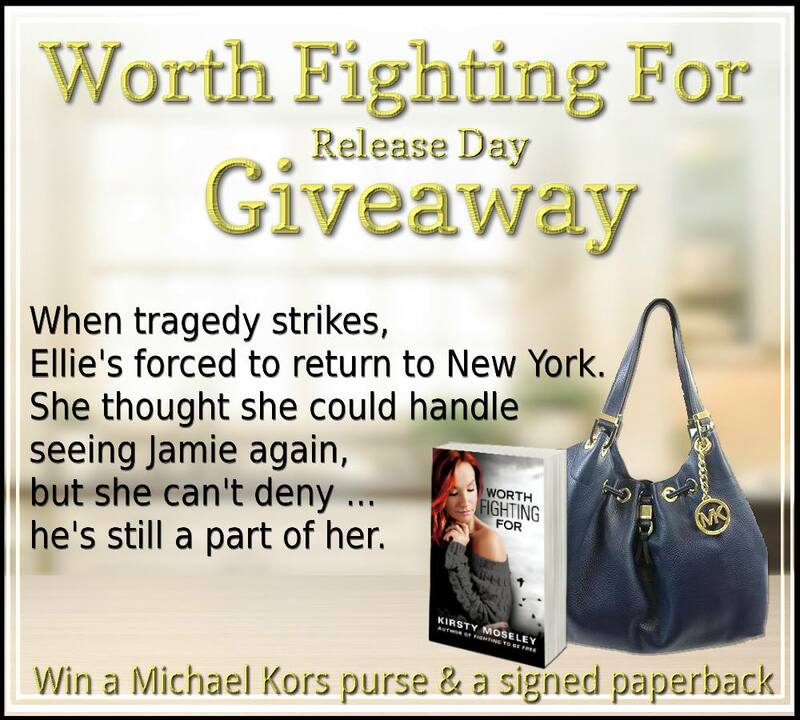 This time Jamie is determined to hold on to Ellie forever. But as much as she still loves him, she can't ignore the dark world he's now a part of. Jamie has enemies. Dangerous ones. And after seeing Jamie with Ellie, they know exactly how to take him out . . .